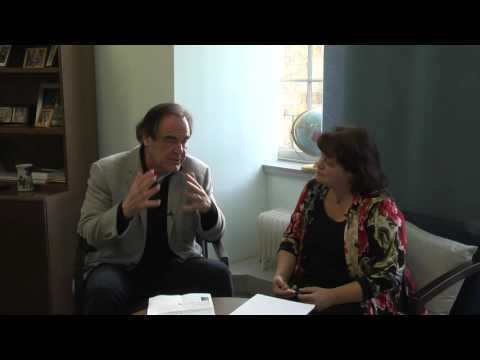 Short interview clip of Oliver Stone with Professor Veronica Strang. In the evening, the Institute of Advanced Study hosted an event with University staff, students and members of the public, in which Stone discussed Alexander with Dr Petrovic and fellow Classics scholars, Dr Andrej Petrovic and Dr Ed Richardson, and explored his more recent films – including the soon-to-be-released Snowden – with Dr Gleider Hernández from the Law School. 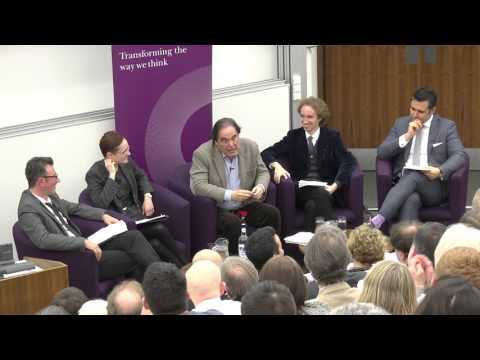 The Institute of Advanced Study hosted an event with University staff, students and members of the public, in which Oliver Stone discussed Alexander with Dr Petrovic and fellow Classics scholars, Dr Andrej Petrovic and Dr Ed Richardson, and explored his more recent films – including the soon-to-be-released Snowden – with Dr Gleider Hernández from the Law School. Precisely because the ancient records provide a fragmented, ambivalent portrait of him, the figure of Alexander the Great has always been open to different interpretations, often serving to express the aspirations and/or horrors of a generation or an individual: Alexander the imperialist; Alexander the tyrant, Alexander as a promoter of the brotherhood of men… Stone’s film, Alexander, mirrors the complexities and paradoxes of the ancient narratives and modern interpretations of this remarkable figure, and provides a sophisticated and thought-provoking vision. As Classicists we engage with the literary and material culture that reaches across many centuries to inform our understanding of what it means to be human. Oliver Stone does this as creative artist. In our conversation with Oliver, we discussed the limitations and the freedom that an artist brings to interpretations of Antiquity, his use of source material, and his understanding of heroism and the role of individuals in history. I did four versions of Alexander because I was haunted by the fact that I hadn’t achieved what I wanted to achieve until I reached the third version, which was five years later. Ten years later I released a fourth version just to make it even better… You have to dig, and sometimes you have to be a scholar with a movie. But you can’t do it in front of the public: you have to do it and then come to the public with an exciting vehicle that’s entertaining and all those things, and simplifies, but at the same time keeps the spirit of the history, so that in some ways it clarifies – it gives you the spiritual moment in history and entry into what really Alexander meant: what this was about, what that was about – it gives you the meaning of it. As well as creating portraits of major figures in films such as Nixon, JFK, and W., Oliver Stone’s films also engage – often controversially – with political and social complexities, such as drug trafficking (Midnight Express and Savages); violence as a media spectacle (Natural Born Killers); and the war in Vietnam (Platoon, Born on the Fourth of July). Stone’s recent interest in issues of global security and data protection is explored in his current project, a film about Edward Snowden. For films to be politically and socially powerful they need to combine the filmmaker’s talent for ‘showing and telling’ with rigorous research. In engaging with the big issues facing human societies, there is excellent potential for filmmakers to collaborate with academics in a range of disciplinary areas. The IAS’s role, as an interdisciplinary institute, is to support these kinds of creative partnerships, and we were very delighted to welcome to Durham a world-class filmmaker whose work is informed by the insights and evidence provided by world-class research.